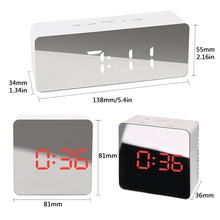 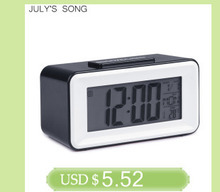 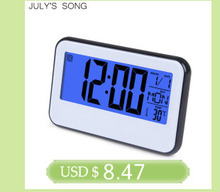 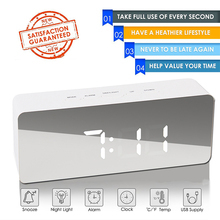 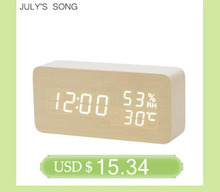 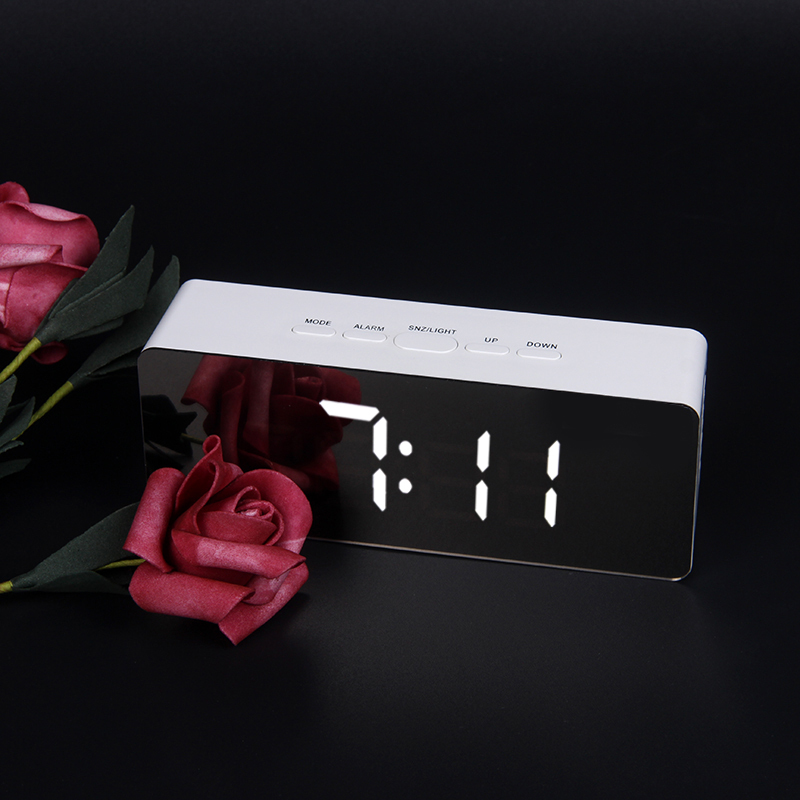 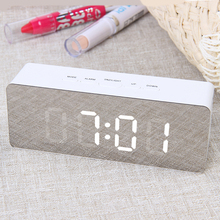 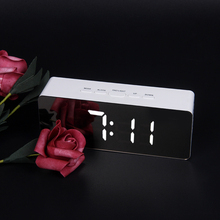 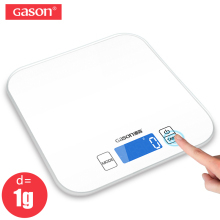 *Mirror LED Digital Alarm Clock is multi-functional:Alarm clock,Temperature display,LED nigh light function,Make up mirror. 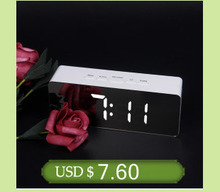 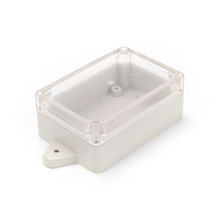 *Alarm clock:12/24 hours display,alarm and doze function.It s so quiet to ensure a good sleep and best working environment, perfect nightstand, bedside or office desk alarm clock. 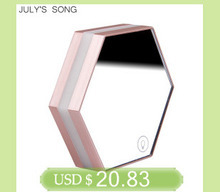 *Mirror surface,it can be used as a make up mirror. 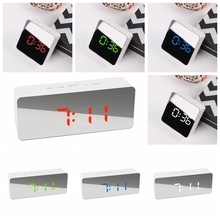 Perfect reflection, allows you to make up such as eyeliner, mascara, eyebrows,etc. 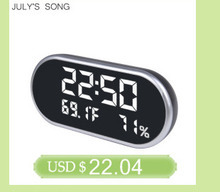 *Temperature display function:Can switch betweenand . 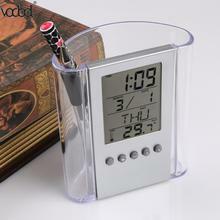 Temperature range from 0 to 50 . 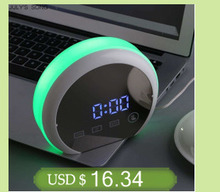 *Smart Night Light, Can be as a bedside night light.It can adjusted brightness automatically at night. 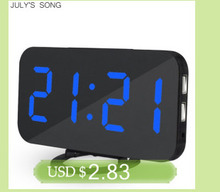 *Has 2 modes adjustable brightness. 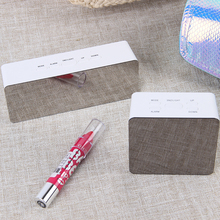 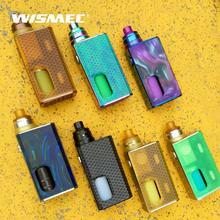 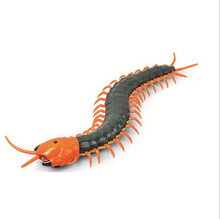 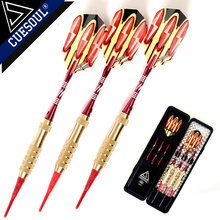 *Powered by 3*AAA batteries(Not included),or USB devices via USB cable(USB cable is included). 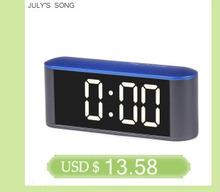 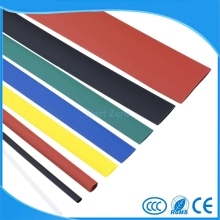 When battery-on or power by USB cable,a BI sound heard with LED light on. 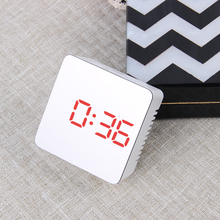 When battery-on, press the SNZ/LIGHT button,the LED will light on for 5 seconds. 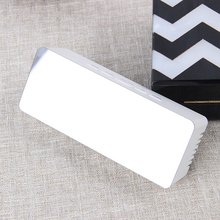 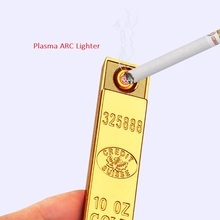 When pulged with USB cable,the LED light will be on always.